Jimmy Reed was born on 6 September 1925 in Dunleith, Mississippi. In the mid-1950s he signed a recording contract with Vee-Jay Records. Health problems related to alcoholism and epilepsy, restricted Reed's career. Jimmy Reed died in 1976. He was inducted into the Rock and Roll Hall of Fame in 1991. Jimmy Reed recorded "Baby What You Want Me To Do," his own composition, on 7 August 1959. 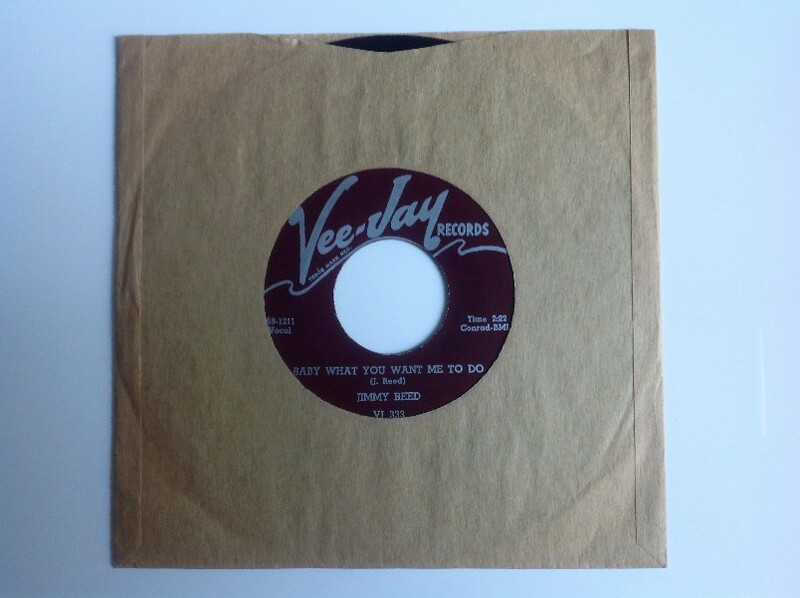 It was issued by Vee-Jay both as a single (Vee-Jay 58-1211) and as track 1 of the LP "Found Love" (VJLP 1022). Another track on that same album, "Big Boss Man," was also recorded by Elvis.